I think you guys know by now how much I love to stencil furniture, pillows, dishes and even clothing. 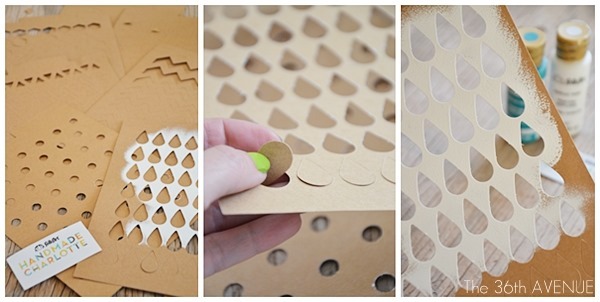 Today I am sharing with you a tutorial using these awesome Handmade Charlotte stencils. I love sharing with you products that work. 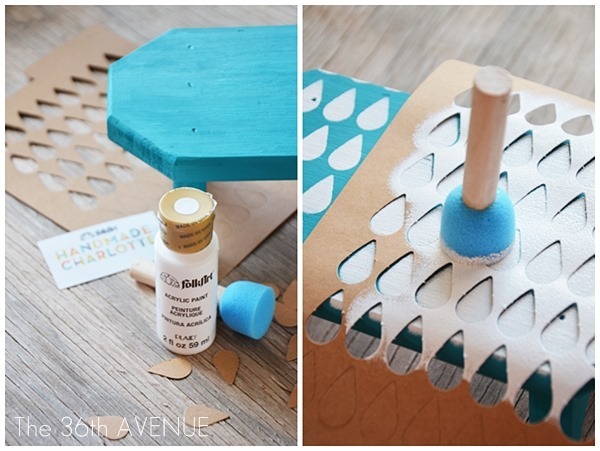 These stencils will give you the chance to create a quick, easy, and pretty much mess free custom piece. Let me show you before I jump in the tutorial a peek of the makeover of this little bench of mine. 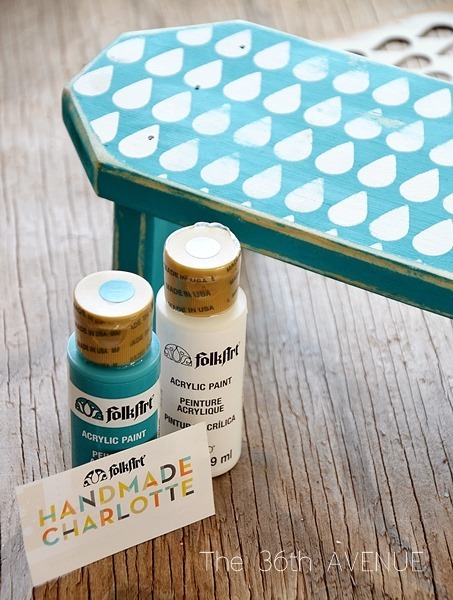 As soon as I saw the rain drop Handmade Charlotte stencils I knew it belonged on top of this bench. 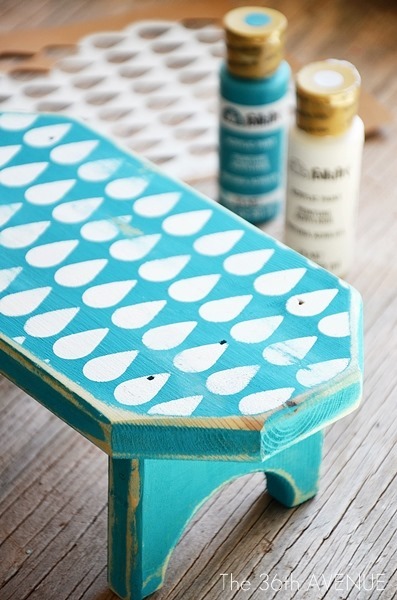 Stay here with me for a few more minutes while a show you how easy it was to give this little bench a big personality! 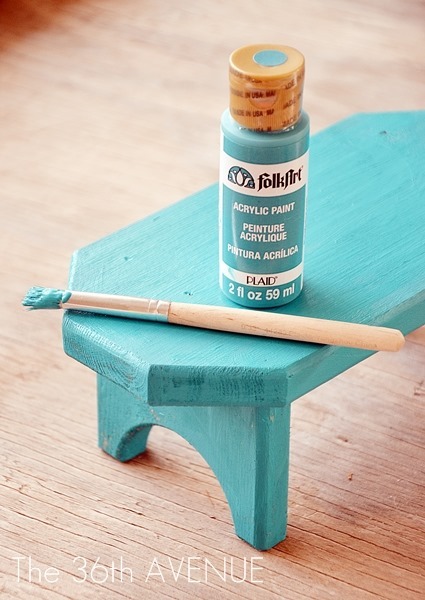 FolkArt Acrylic paints of your choice. 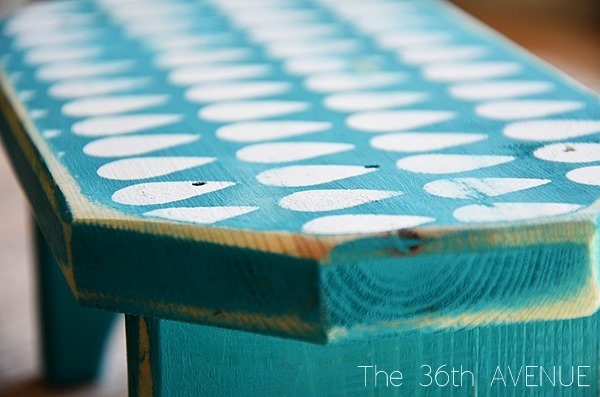 The first thing I did was to paint the little bench. I decided to go with this adorable turquoise color. So pretty and perfect for my craft room! After letting the paint dry for about 10 minutes it was time to stencil the bench. The hardest part of the entire project was to choose one stencil. 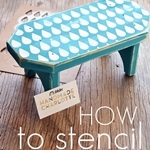 The Handmade Charlotte stencils come in packages of eight… How am I supposed to choose just one? The only thing you need to do is to pop the small pieces out. I saved my little drops, you never know… I may use them for another project soon. 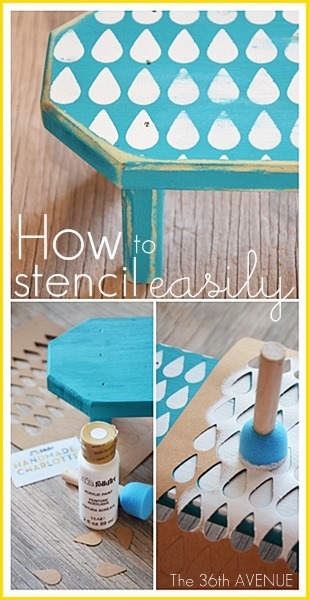 Place your stencil on top of the surface you are working on and apply the paint. Make sure you tap the paint, no brushing side to side. 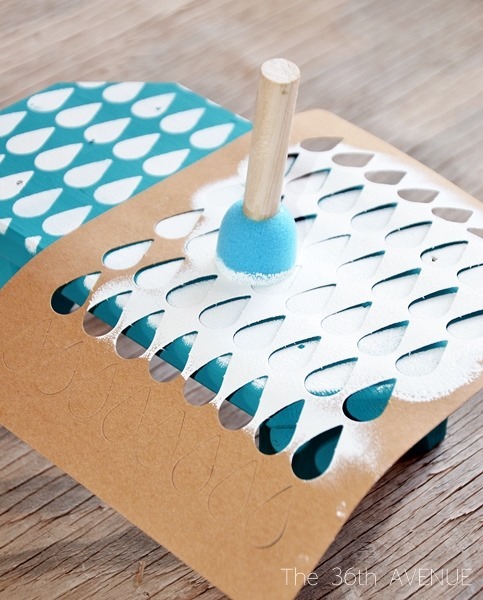 tap the paint again until the entire area is stenciled. After the bench was done I used sand paper to give it some more character. And just like that… I was done! 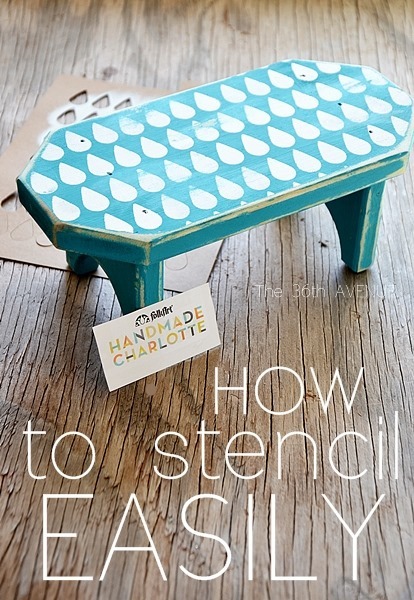 Seriously you need to give these Handmade Charlotte stencils a try. So easy to use and so many cute designs to choose from. I hope you like this little project as much as I do. Plaid on Facebook, and Plaid on Twitter. Thank you for the visit my friends! I wrote this post as part of a sponsored campaign with Plaid and The Blueprint Social. This is such a great idea and it’s so cute! I’m going to have to track down a stencil and do the same! 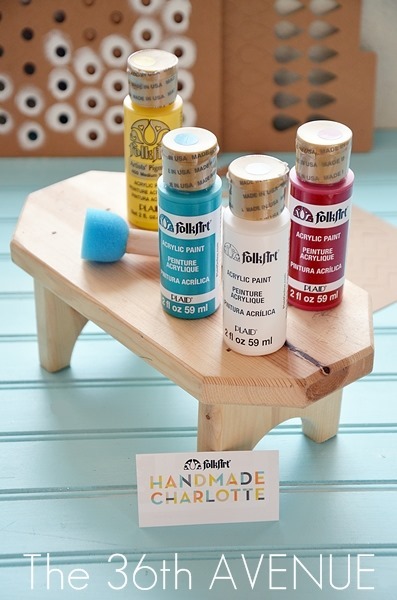 I’m hosting a “Craft With What You’ve Got” party and the featured crafting supply this week is craft paints. This project would fit in perfectly! I’d love for you to link it up here.